When you are making a video especially for sharing it on YouTube, it’s a good idea to add a customized intro including your sign before the video. This is a great way to give a personal touch to your video and for YouTubers; it’s a great way to build a brand because people will know that the video comes from you every time they watch it. If you are fond of YouTube or even if you have seen a mentionable amount of videos, you might have noticed that a lot of YouTubers include a small animation in the start of their videos. Previously they used to add just their name or the name of their channel in a simple image but now most of them use some really impressive animations. These intros which are not more than 10-15 seconds but they give a special personalized feel for the YouTubers and makes his videos stand out from others. So if you are also a YouTuber and want people to know about your brand whenever they stumble upon your videos anywhere, or just looking to add a personal touch it’s a good idea to add an intro to your videos. However, the problem is not all people are expert in video making and many don’t know how to make a good intro for their videos. Previously, the only way to make an impressive intro video was by making an animation yourself, which is no piece of cake and hence lots of people didn’t do it. Thankfully, nowadays there are lots of free YouTube intro making tools available online which can help you make a cool intro for your videos without much hassle. Flixpress is one of the best free intro makers for people who are looking to make a good intro for their videos but don’t have a budget for it or want to save costs. With Flixpress you make intro videos with a customized touch using texts and images as well and the great thing is that you can preview the video which you make. This feature allows you to see the video you made in real time and if you don’t like the preview then you can adjust the things instead of going through the whole process of making the video again. The name of this YouTube intro maker says it all. It’s one of the best free YouTube intro maker available in online and since it’s easy to use, even beginners can use it without any help. While it does not has some of the advanced features you might find in some other YouTube intro makers, the quality that makes it mentionable is that you can create intro videos without any watermark. This is a great feature for people who have no budget but still want to give a premium feel to their customers as an intro video which includes a watermark takes away the glory from your video. The only catch is that you have to like the page of free intro maker to access the feature of watermark free videos, though it’s not a very big deal compared to other services where you have to pay for the same. If you are looking for some serious quality intro maker than Rendrfx might be the thing for you, as it’s into video templates are some of the best in the market. Not only that, the site also offers e-books and guides on how to use its services and features so if you are new to video editing you can use those guides to learn more about how to make awesome videos. The initial intro making feature is free but if you find the other features useful than you can also buy the premium subscription for the site. If you are frequent YouTube then you know that one channel does not complete your requirements. 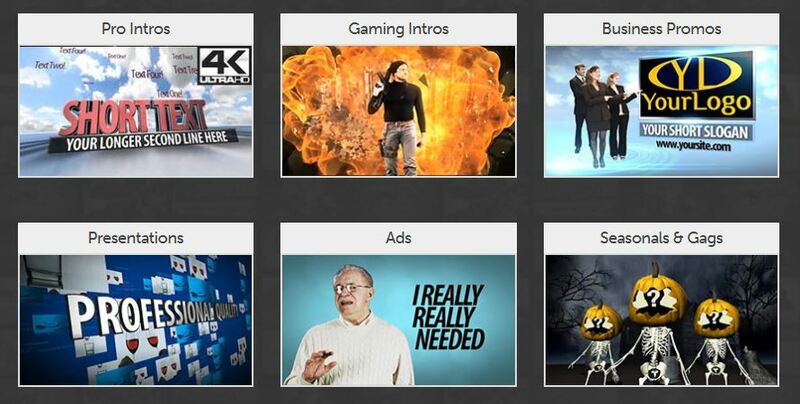 Often YouTubers have 2 or more YouTube channels and they need different intro videos for each one of them. 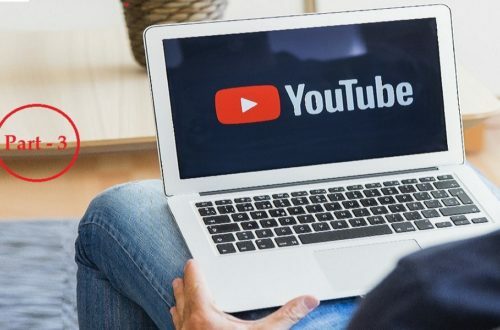 Though making multiple intro videos for YouTube is not an easy task as it requires a good amount of time and you need to master a number of features of the intro maker. In this condition, Intromaker.net might be a magical tool for you as in it, you only have to choose a template, upload your logo and then do few more clicks to get your YouTube intro video ready. This free intro maker tool allows you to create good quality intro maker videos within a matter of minutes. Tough, you shouldn’t expect any advanced features as it creates basic intro videos only. If are not shying away from spending bucks on a YouTube intro maker, then Go Animate is probably the best platform for you which allows you to create some seriously good animated intro videos. There are three different plans to choose from starting from 39$ per month and the good thing is that you can avail a free 14 days trial before buying a subscription so you don’t find yourself in an odd place after paying the money. Tough it’s more of an animation platform and even though they offer a free trial if you are looking for some serious video editing using advanced features, then you should probably not give it a try. 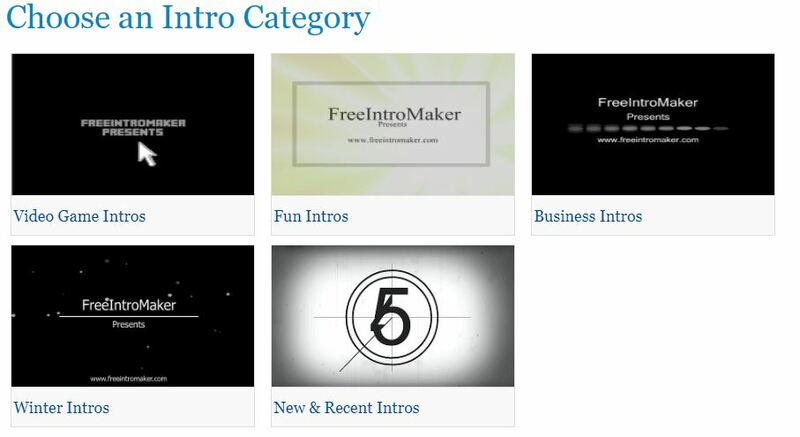 This was our guide on how to make a intro video using free YouTube intro maker. Do let us know your thoughts on it and what next you’d like to read in the comment section below. Thanks for sharing such type of great information about the YouTube video marker. I got some excellent sites from your blog trough which I can prepare my company video or intro video in quick time. It will help me to save my time as well as money. Really, you have made my work easier.